Have you seen the new Google Weather in your Google Search ? 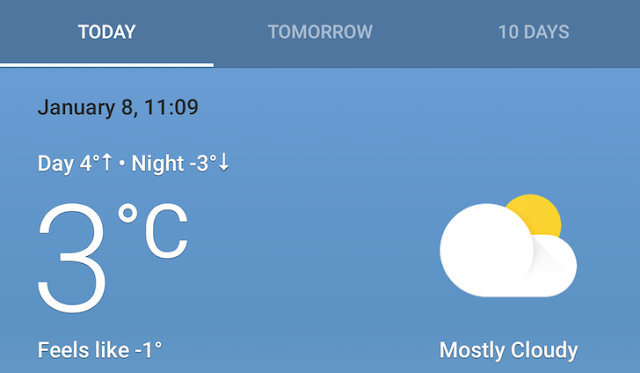 If Not have a look some of android device owners have already seen the latest version of Google Weather card in Google Now Search it's a bit cartoonish style animation but you get much more detail than old google weather card. The Background of google weather card will change to indicate the time of day and weather conditions. In this new card you see a frog character that experience the weather with you everyday in every condition. And Also Includes hourly forecast, severe weather alerts, extended forecast, air quality, UV index and many more.